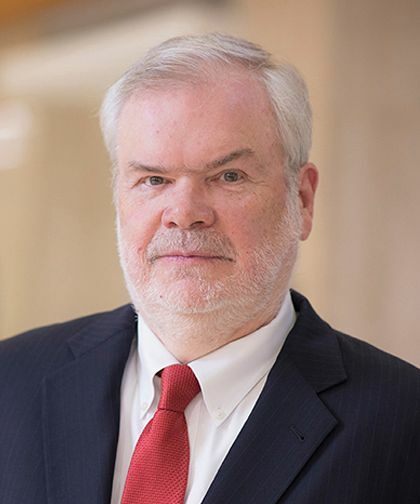 Kevin J. Ferrick, MD, is an Adjunct Attending Physician, Director of the Holter/ECG Department, Director of the Cardiology Training Program, and Professor of Clinical Medicine at Montefiore and Albert Einstein College of Medicine. His clinical focus is on cardiac arrhythmia management, cardiovascular risk stratification, ventricular tachycardia, atrial fibrillation, pacemaker and implantable cardioverter defibrillator (ICD) therapy, and ablation of cardiac arrhythmias. Dr. Ferrick joined the Montefiore team in 1992. Dr. Ferrick received his Bachelor of Chemical Engineering in 1973 from the Cooper Union in New York. In 1977, he received his Doctor of Medicine from the Medical College of Wisconsin. Dr. Ferrick completed an internship and residency in medicine at Montefiore from 1977 to 1980. He then completed fellowships in Clinical Cardiology and Clinical Electrophysiology at Columbia-Presbyterian Medical Center in New York from 1980 to 1983. Dr. Ferrick’s research focuses on noninvasive cardiovascular risk stratification, management of supraventricular and ventricular arrhythmias, ICD therapy and the management of cardiovascular risk, and the impact of demographic diversity and risk factors for atrial fibrillation. His research on these topics has been published in over 100 reviewed journals, abstracts, books, and articles. He has been an invited speaker to numerous national presentations, courses, lectures, and seminars. In 2009, Dr. Ferrick was named one of the Best Doctors by New York magazine and is currently still one of Castle Connolly’s Top Doctors. He is board certified by the American Board of Internal Medicine and is a member of numerous professional societies, including the American College of Cardiology and the American Heart Association. He also has board certification in Cardiovascular Disease and Clinical Cardiac Electrophysiology.